Katharine McPhee, Patricia Arquette, & Emily Wickersham Kick Off Summer at CBS Rooftop Soiree! Katharine McPhee shows off some skin as she arrives at the 2015 CBS Television Studios Rooftop Summer Soiree held at The London Hotel on Monday (May 18) in West Hollywood, Calif. The 31-year-old entertainer was joined by her Scorpion co-stars Elyes Gabel, Ari Stidham, CSI‘s Patricia Arquette, NCIS stars Emily Wickersham, Pauley Perrette and Sean Murray, The Odd Couple‘s Matthew Perry, Lindsay Sloane and Yvette Nicole Brown, Extant‘s Grace Gummer, and The Late Late Show host James Corden. Also in attendance: Rachel Skarsten, Kathrine Herzer, Adelaide Kane, Kyle Bornheimer, Jane Lynch, Maggie Lawson, Torrance Coombs, Justin Baldoni and his wife Emily Baldoni, Julie Chen, Aisha Tyler, Marg Helgenberger, and Bow Wow. FYI: Katharine is wearing a RVN dress, Bionda Castana shoes, Emm Kuo clutch, and Marina B. earrings. Emily is wearing a Self-Portrait look, Kurt Geiger shoes, Ileana Makri jewels, and carrying a Lee Savage clutch. Patricia is wearing Kurt Geiger shoes. Katherine Heigl Gets Support From 'Amazing' Hubby Josh Kelley At CBS, CW, Showtime Summer TCA Party! Freida Pinto, Rashida Jones & Tracee Ellis Ross Live It Up At Take-Two's E3 Kickoff Party! Selma Blair, Lena Headey & More Step Out For Milk + Bookies Story Time Celebration! 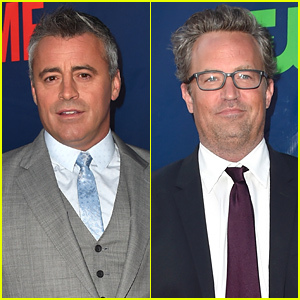 Lisa Kudrow & Matthew Perry Reunite at Phoenix House's Triumph For Teens Awards Gala 2015! Amy Poehler Supports Boyfriend Nick Kroll & Rose Byrne at 'Adult Beginners' Premiere! Busy Philipps Gets Honored for Her Volunteer Work at the Norma Jean Gala 2015!